WHEAT Flour, Malted WHEAT Flakes, Water, Yeast, Blue Maw Seeds, Rapeseed Oil, Calcium Carbonate, Iron, Thiamin, Nicotinamide, Emulsifiers (E471e, E472e), Salt, Dextrose, Flour Treatment Agent (E300). Glaze: (Water, Vegetable Oil(Rapeseed), Modified Starch (Tapioca) Dextrose, Emulsifiers (E471)(Palm), Sunflower Lecithin (E322)), Vegetable Protein, MILK Proteins, Acidity Regulator (Sodium Phosphates (E339)), Colour (Beta-Carotene(E160a)). 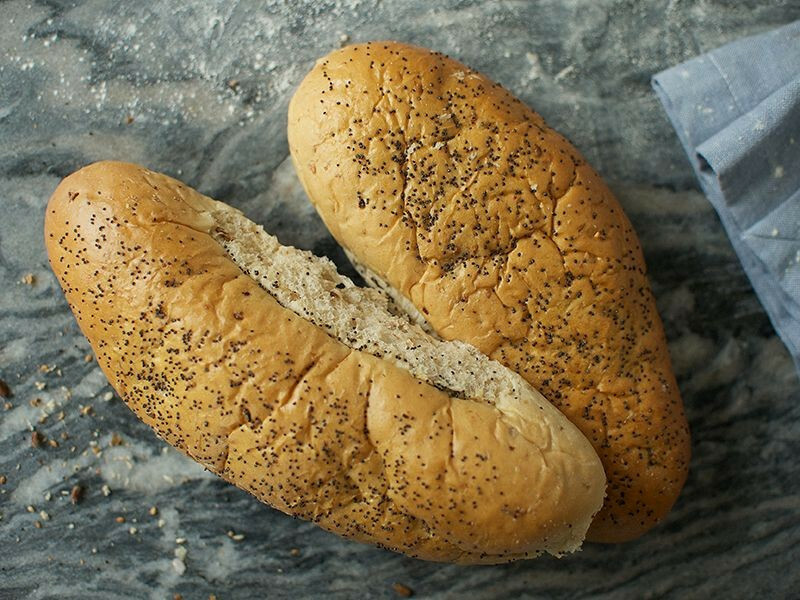 Brought to us by our friends Thatcher’s family bakers, these super-soft malt ovals are topped with a healthy smattering of anti-oxidant rich poppy seeds, adding a unique nutty, aromatic flavour. Ideal for a tasty sandwich!